If you’re reading this you may well have already started thinking about changing your body, getting rid of that post-pregnancy tummy or wanting a fitter, healthier you. Bringing new life into the world certainly can turn your own life upside down, and what you initially thought were priorities in your life start to slip down the list, especially exercise. You have new responsibilities, a new routine and even a new outlook on life which is understandable, but you can most certainly also have a new you! 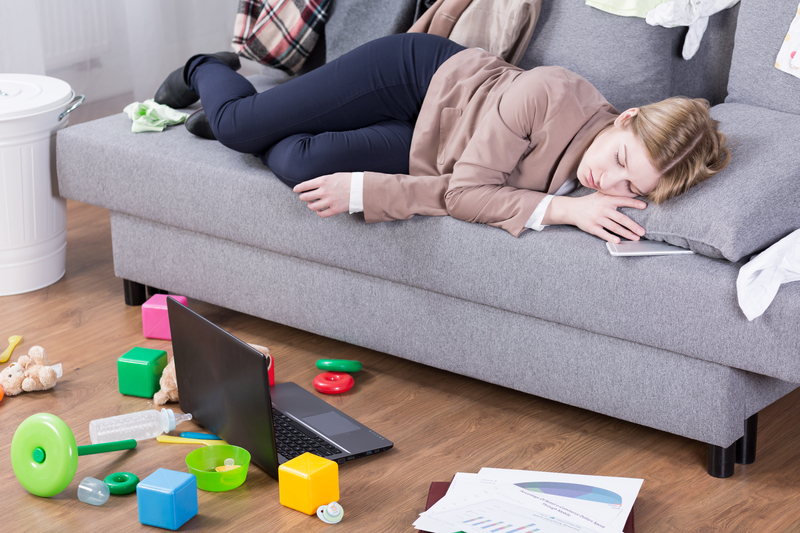 As a mum, you’re burning plenty of calories through the non-stop nature of every day tasks, including chasing your toddler through every doorway, lunging at items that they’re knocking off tables, as well as running up and down the stairs with an array of nappies and change of clothes! Not to mention the constant trip to the washing machine and the microwave! Whether you’re a new mum, a busy mum, a working mum or all three squeezing a workout into your busy schedule can be nearly impossible. We are here to help you get to where you want to be, lean, healthy and fit for life. If you’re a new mum then before you launch into a full post baby cardio workout and for you to fully benefit from the exercise a top tip is to wait until your baby is sleeping through the night. And yes this can take up to 2 months or more in some cases; this is because to fully benefit from post pregnancy workouts you need access to more than just a few minutes of rest here and there. Your body needs optimum rest and sleep to give yourself time to recover, recuperate, develop lean muscle and burn fat. However, before then daily walks with baby and dogs in tow can help build up overall stamina as well as increasing your blood flow and exposure to an aerobic workout. So, “where do I begin?” I hear you ask … with any new regime it’s best to create a plan; firstly when will you exercise? Identifying days, times and places to exercise that are achievable and convenient will be key to cementing your plan as a busy mum, sticking to this every week will help your weekly workout plan become seamlessly part of your lifestyle. Then, decide how much time you will commit to exercise and be consistent; whether you’re off to work, meeting the mums for a coffee or have a long list of chores to do start by introducing low to moderate intensity exercises into your routine so you can build your strength and cardio over a 15 to 20 minute period. Furthermore, as a busy mum with any workout routine an additional top tip is to mix it up! It would be important to find a number of different exercises that you enjoy doing because your body adapts to similar routines and you won’t be hitting those deeper muscle fibres. As your body adapts to the exercise your results, fat burning will slow down. But fear not, there are many exercises and variations to increase the difficulty that will kick start your metabolism and help you melt that mummy tummy. Mixing up your exercises also prevents stress being placed on the same muscles and joints. It can even be argued that bodyweight exercises are better than training with weights at this time because the movements are very natural and you’re much less likely to injure yourself, now there is a thought! To ensure that you burn fat in all the right places you must commit to a workout that follows the principles of high intensity interval training, or HIIT. The 3-minute Blast3 Fitness videos will show you the way , mix up your exercises and make sure your workouts are on point! Studies show that HIIT workouts, which take far less time to complete than slow and steady cardio workouts, lead to as much as twice the total fat lost. The best exercises to accomplish this is a combination of aerobic workouts such as running on the spot, star jumps, high knees where you can workout at maximum intensity for 45 seconds, have 15 seconds rest before you go again. Busy mummy’s are turning to Blast3 as the episodes are broken strategically into 3-minute HIIT sessions, which you can fit around your baby’s nap times, or even when waiting for their porridge to cool down. You’ll be amazed at how a few of the 3-minute sessions each day, can fit around the busiest mum’s schedule, and how much healthier you’ll feel at the end of each day. Complete these sets 3 to 5 times, 2 or 3 times a week, morning, noon or night and build up the sessions as you feel fitter; not only will you be done in 15 to 20 minutes each day but you will be incinerating your post-baby tummy in no time.